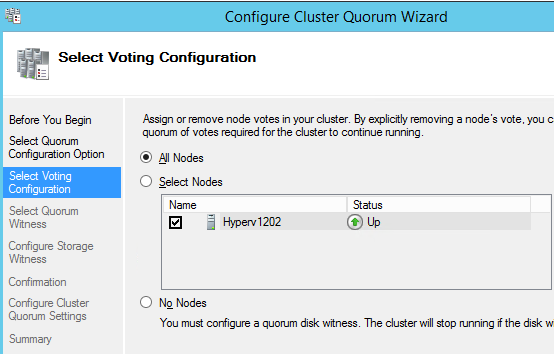 If you want to change the Quorum disk in your cluster and you are afraid to get downtime or lost connectivity you don’t have to afraid. 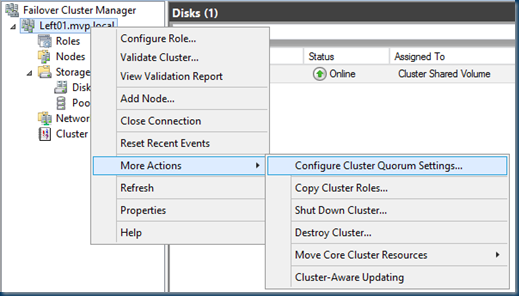 In windows server 2012R2 you can drive and change the tire. 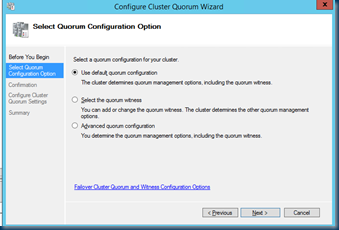 In the failover cluster manager (FCM) right click the cluster and under more actions you can set the cluster quorum. In the next screen you can do the default/select/advanced config. 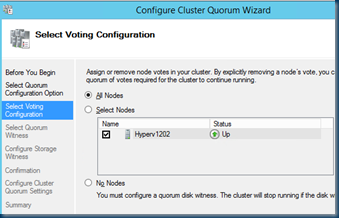 I choose the advanced , This is a fresh Cluster and currently there is only one node. 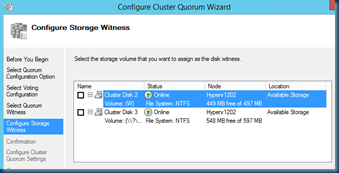 This step you can create a fileserver witness or a disk witness. 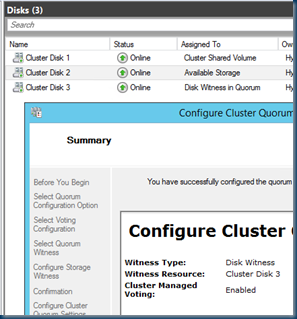 Remember when creating your cluster and all disk are presented to the cluster the smallest disk is auto assign to be the witness disk. 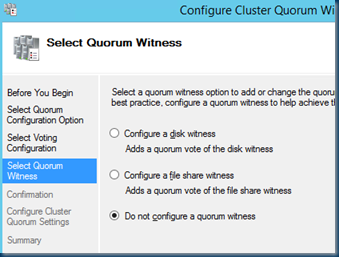 unless there is only one disk then this disk is used as quorum even if this disk is several TB. 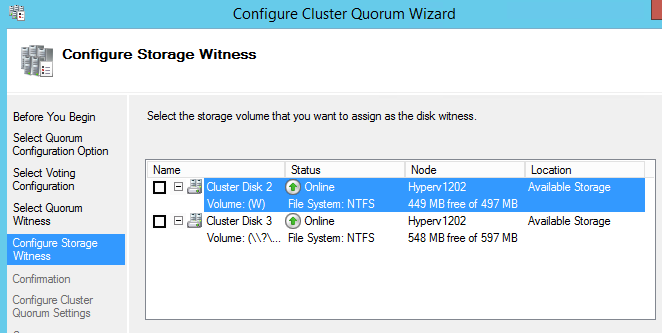 I can choose between two disk and I select the 500MB disk after this the cluster is quorum ready. 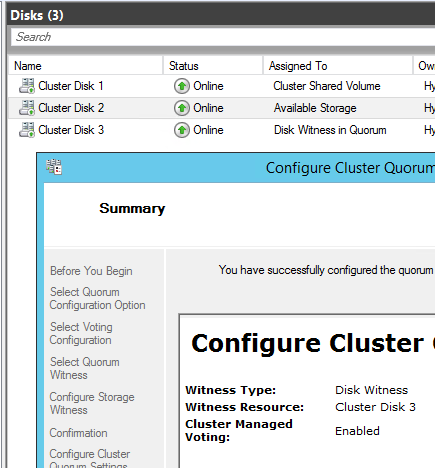 as you can see in the disks the Quorum is configured. 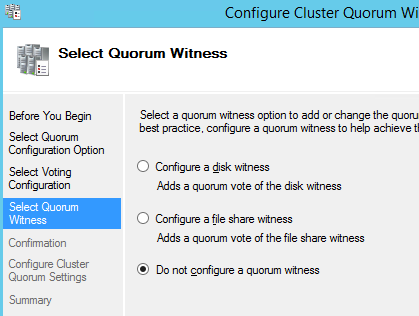 Set-ClusterQuorum –Cluster Left01 -NodeAndDiskMajority "Cluster Disk 2"
but in the disk selection there is already a disk selected and you can’t use two disks so flip the check box for the other disk and you are ready to go. 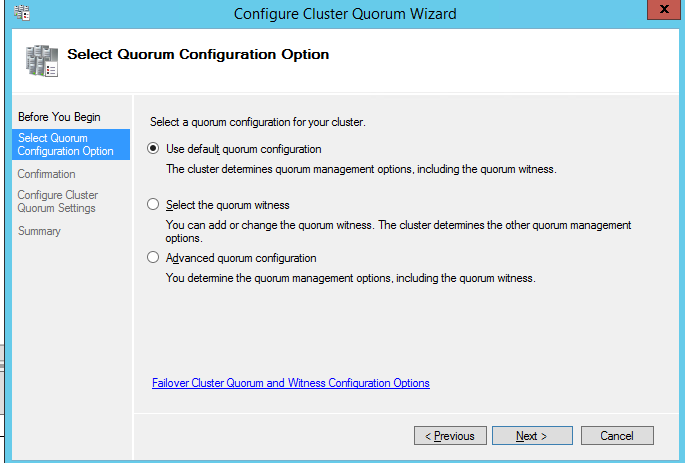 Set-ClusterQuorum –Cluster Left01 -NodeAndDiskMajority "Cluster Disk 3"